Please come by for Art Sketching Through the Alphabet with Curious as a Cathy when you have a sec! Have a good day & happy a2zjing! I was never a huge fan of the Power Rangers (I always thought it looked silly) but I think you’re right and all kids want to be superheroes at some point. I’m not familiar with this show, but it’s nice to remember childhood pleasures. Have you watched it again since then? The Disney was so good back when this was on. Recess was the best. Spinelli was a fun character. I didn’t know about Kim Possible. Thanks to introduce this character to me! 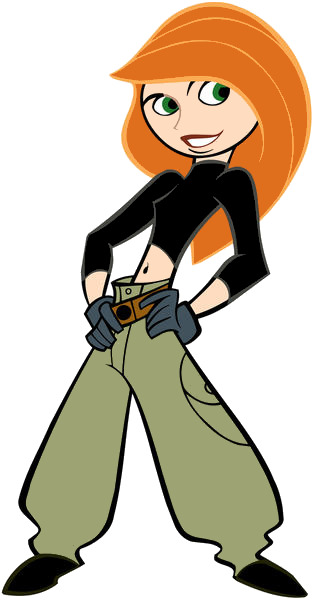 I had forgotten all about Kim Possible. I don’t think my kids watched it (my youngest was in her late teens when it came out) but I recall seeing it now and then… maybe while channel surfing. It’s fun to hear about long forgotten TV shows. I don’t know this cartoon, but I remember Inspector Gadget and his theme song. Love Kim Possible!! She was for sure one of my fav superheros, and Shego was one of the best villains in my opinion. Kim Possible’s awesome – talk about a trip down memory lane 🙂 Happy A-to-Z-ing. I definitely had a fair bit of nostalgia writing this post 🙂 Thanks! I love Kim. I have a Kim figure perched on my monitor at work, one eyebrow raised, making sure I stay on task. Love this tribute!